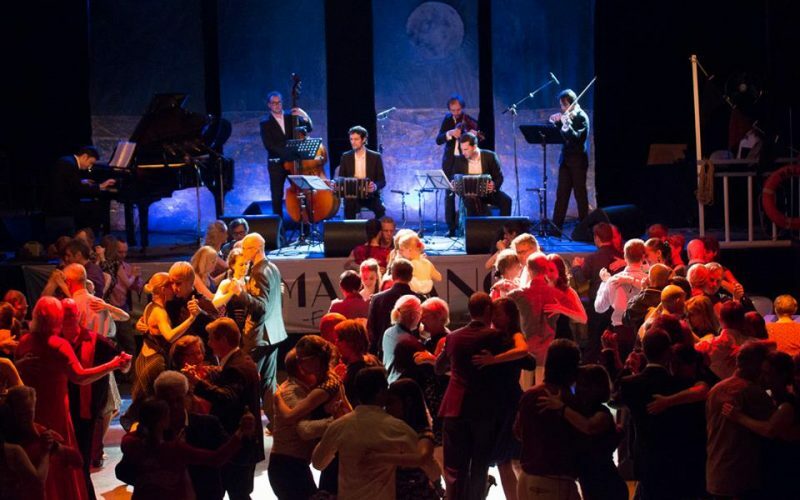 World of Tango Festival is an international culture festival that takes place in the city of Tampere, Finland. The festival is held every year in September. The 12th World of Tango Festival offers four days of dancing with the best tango orchestras and international DJs. World famous tango group Solo Tango Orquesta from Russia performs at a new milonga venue Konsusali on Friday September 14. Orquesta Social del Tango is currently the most important tango orchestra in Spain. Their repertoire is based on traditional arrangements, recalling orchestras such as Carlos DiSarli, Florindo Sassone, Juan D’arienzo, De Angelis, Troilo among others. The group plays at Pakkahuone Hall on Saturday September 15. This is their first time in Finland. © World of Tango Festival. All rights reserved.